Sydney is by far the most visited city in Australia, known best for its Harbour and Opera House. But just two hours outside of the city is the Greater Blue Mountains Area. This natural wonder is truly a must-visit on your next trip to Sydney. There are so many things to do in the Blue Mountains that you could easily spend an entire trip trekking through it. The Greater Blue Mountains Area is a largely untouched, mountainous forest landscape. The huge expanse covers more than two million acres just west of the hustle and bustle of Sydney. It was named a protected UNESCO World Heritage Site because of its unique geological rock formations, forest and waterfalls. This ecological diversity provides a wide range of habitats for more than 400 different types of animals. Several species considered rare or under threat of extinction call the park home. The name “Blue Mountains” is no misnomer. Legend has it that when the temperature rises, the essential oil from the eucalyptus forest evaporates and disperses in to the air. This causes sunlight to filter through the mist in the air and scatter blue light over the canopy and vista. This natural phenomenon casts a spectacular bath of blue-light over the region. Within the Greater Blue Mountains Area are seven official National Parks of New South Wales. 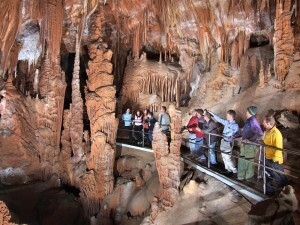 These include Blue Mountains, Gardens of Stone and Nattai National Parks. Blue Mountains National Park is the most popular of all parks in the Blue Mountains Area. In fact, it is one of the most visited national parks in all New South Wales. Visitors and local Aussies alike flock to Blue Mountains National Park for strenuous hiking, easy walking, rock climbing and more. Numerous viewing areas called “lookouts” are accessible to visitors. They offer up some of the most sought after and breathtaking views of the area’s natural expanse in the entire region. Before you even enter the park’s trailhead you will be immediately blown away by the view from this lookout. From here, you’ll be able to gaze upon The Three Sisters. This three-towered rock formation is one of the most fascinating sites in the entire Blue Mountains Area. The Three Sisters are viewable from several vantage points in the park. Eaglehawk Lookout tends to be less populated than sites like Echo Point, so you get a solemn ambiance like no other. Eaglehawk Lookout offers up some of the best views in the park and is one of the best things to do in the blue mountains. Take one look at the massive expanse over Govetts Leap and you’ll say to yourself… Well, probably nothing actually because this is a view that will truly leave you speechless. As your eyes remain transfixed on the sheer size of the valley below, you’ll begin to see the details that make up this view of the World Heritage treasure. Look one direction and see the dancing spray of water falling 180m down a sheer-face cliff to the valley below. Look another direction and spot a yellow-tailed black cockatoo swooping down to the trees. Govetts Leap is one site that must be seen to be believed. Check your fear of heights at the door before beginning this 3-mile walk. The National Pass treks through sheer Blue Mountains cliff-sides at dizzying heights. As soon as you begin this walk you are rewarded with a magnificent view from Jamison Lookout. It’s an instant payoff in a walking trail that only gets better from here. As you continue on you’ll be serenaded by the sounds of Wentworth Falls, a multi-tiered waterfall cascading down from Jamison Creek above. From here you’ll descend the Grand Stairway. The stairway was built by hand more than a century ago. In recent years, the National Pass has been retrofitted with modern safety features like handrails along some of the more difficult paths and sheer faces. But the Grand Stairway is still a a steep climb down, so be sure to watch your step along the way! Arrive at one of the ultimate lookouts on the National Pass and you’ll come face to face with a narrow edge over a sheer cliff face. If your knees weren’t shaking before, prepare yourself for this grand view that feels like you’re at the edge of the world overlooking the valley below. The summit of Mount Banks is the highest point in the park. You can see the peak of Mount Banks from nearly every spot in the park. 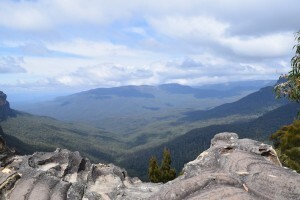 Explore this peak up close for a view that truly overlooks all Blue Mountains National Park. Climbing the tallest mountain in this park luckily doesn’t involve any extra equipment or increased danger and the summit is accessible via footpath. Once you arrive at the top, fill your lungs with the clean, ozone-laden air the area provides (called a health tonic since the early 1800’s). Gaze out on a 360-degree panoramic view, unimpeded by any handrails or fencing. This mountaintop is as natural as it gets and if you’re looking for one of the best views in the park, it doesn’t get any better. Just on the outer edge of Blue Mountains National Park, the Botanic Gardens at Mt. Tomah is a great stop on the way back from the inner Blue Mountains Area. Established in 1972, the garden contains 69 acres of public grounds. An additional 320 acres of land was also set aside, solely dedicated to the conservation of trees and other plants. Walk the grounds and marvel at more than 40,000 native, rare and exotic plants that dot the landscape. Stunning mountain views and vistas surround the walk through the gardens. You could easily spend an entire day trying to see it all. 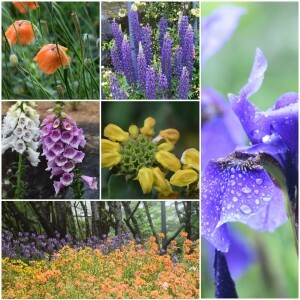 Get lost in the garden and see the beauty of meticulously cared for, colorful flora. tucked inside a valley of Kanangra-Boyd National Park. Self-guided or fully escorted tours of the cave network take you through a number of the sites caves, rock formations (including the majestic Grand Column) and subterranean rivers. With so many things to do in the Blue Mountains, you’re never far away from having an amazing time.. As soon as you see the calming, blue-haze of the mountain range you’ll be in awe at the untouched natural world before you. Make a stop over in Blue Mountains National Park from nearby Sydney for a quick nature retreat. We have plenty of trips with stopovers in Sydney and free days to explore or let’s work together and plan the perfect trip for you. 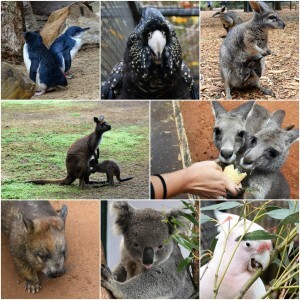 BONUS TIP: Stop by Featherdale Wildlife Park on your way up to the Blue Mountains. There you can see some of Australia’s amazing wildlife up close. Take a photo with a koala, feed some kangaroos and see Australia’s amazing native birds!